Hey Audiophiles! 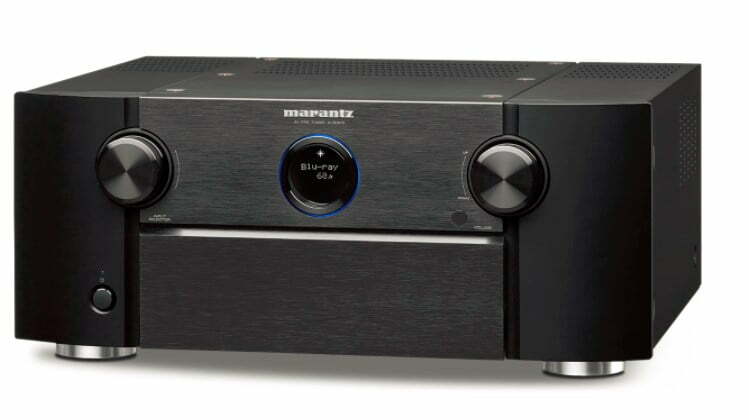 Gibbys Electronic Supermarket is excited to share with you the Marantz AV8805 13.2 channel processing Pre-Amplifier. 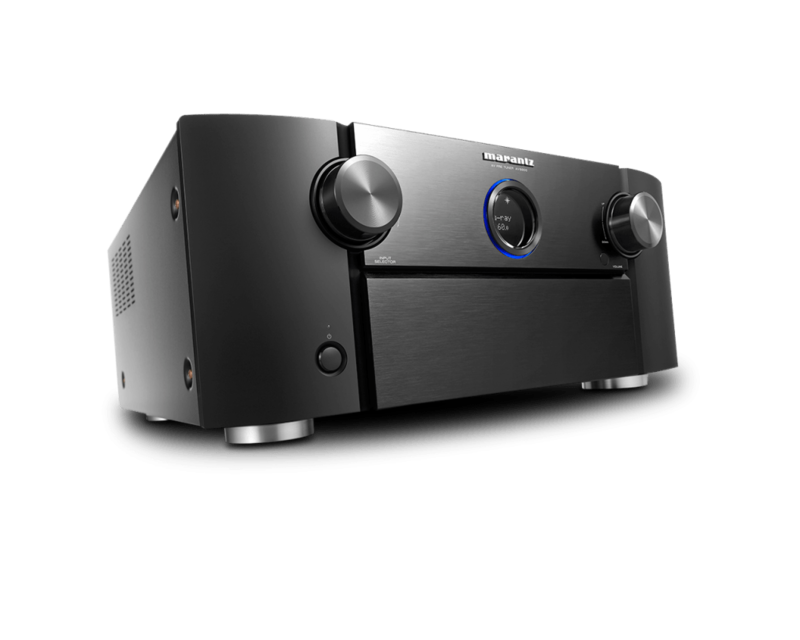 Marantz revealed the AV8805 during the 2018 Consumer Electronics Show (CES). This is the first receiver in the world to have 13.2 channels and full 4K Ultra HD network support with Dolby Atmos, DTS:X and Auro-3D. The Marantz AV8805 pre-amplifier (replacing it’s predecessor, the Marantz AV8002) is sure to redefine audiophile home cinema and music listening with HEOS multi-room, full 4K Ultra HD and wireless connectivity through the HEOS app or Amazon Alexa Voice Control. With voice control you’ll be able to pause or play songs, adjust volume and switch between media players. All this is supported through Wi-Fi, Bluetooth and Apple Airplay. With the ease of HEOS or Amazon Alexa, you can enjoy seamless access to all of your favourite streaming services such as Spotify, Amazon Music, Tidal, Sirius XM, Soundcloud and more. Finally, for the the finishing touch, this pre-amp is equipped with 4K, HDCP 2.2 and HDR pass-through for the 8 HDMI inputs, 3 HDMI outputs (enhanced audio return eARC with firmware update), 15.2 RCA pre-outs, 15.2 XLR outputs and a phono MM input for vinyl playback. See the picture below for a close up of the back panel. This Marantz AV8805 will be arriving in March 2018 at Gibbys Electronic Supermarket.